Our Achievements - T.I.M.E. Schools - Bringing the best CBSE education in Hyderabad and Secunderabad. Top Hyderabad Schools with CBSE Syllabi. 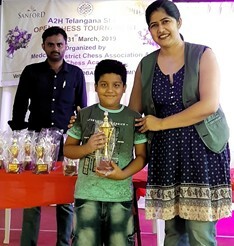 Hearty Congratulations to Purav Khandelwal, Student of Class 2 B, on bagging the First Prize in A2H TELANGANA STATE OPEN CHESS TOURNAMENT (Category Under -8) held on 31st March, 2019 at Sanford The Global School, Miyapur. We sincerely appreciate the efforts taken by our student on this occasion. Here are list of students who have secured Distinction in "TRINITY GESE 2016-2017"
We Heartily Congratulate Students from T.I.M.E. School Bandlaguda for participating and winning the first and second place in the "ALL INDIA SPEED SKATING COMPETITION" held at INDIRA PARK skating ring, Hyderabad. We applaud these young achievers. Inter-School Skating Competition was organised by ORO sports at Gandipet near Ocean park. Total number of participants were 2500 (students). We heartily congratulate the following students for winning the second and third prizes. 3. Harshini of class II for winning the third prize. A 2 KM MARATHON was Organized by DPS Nadergul on 3rd December 2016. Eight Schools Participated from which T.I.M.E. School (Bandlaguda) has won First , Second and third place respectively. T.I.M.E. School has won three merit prizes and medals in the C.Devender Yadav Memorial Run (3 km athletic meet). T.I.M.E. School congratulates it's students, staff and parents on the thumping success of it's first batch of class X with 100% results. Maximum students secured A1 and A2 in overall. 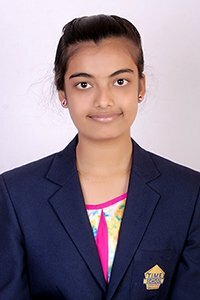 Krishna Preetham Kanthi of Class IX, won the Entrepreneurship Week 2016 eWeek@School Innovation Award by National Entrepreneurship Network. A working model of Earthquake Detector was presented at the ‘Make in India’ week organized at Vasavi College of Engineering. Multiple prestigious schools from across Hyderabad that participated in the competition, this model from T.I.M.E. 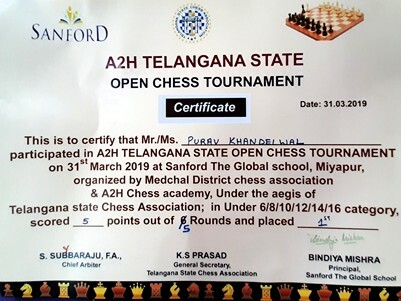 School, Bandlaguda was awarded the First Prize. The entry thus qualified for the India level competition, was declared as the best model and won the First Prize. The South Zone witnessed participation from 70+ Academic Institutions with over 2,00,000 participants. S.Aryan of Std IX (TSKK) won the third prize for his project "autonomous car" in the" Made in India" contest held by Vasavi College of Engineering. Shrestha Roy of Class IX has been bringing levels back home at National and International level in Karate. Her achievements for this year as follows. The second special mention is for Amneet singh sodhi for Class –IX who was in the top three at the OLX Ideethon where 100 schools all over India were selected and out of that 100 students were short listed. The initiative was to promote 'Swach Bharat' through indigenous and innovative ideas of Amneet. He prepared a sensor system for the car which would make the car to stop automatically if you throw the garbage out of the car. He had his name flashed in all National dailies and was interviewed in Delhi by NDTV. Keerthi from Class V won many prizes in dance organized at Y.M.C.A. Shilparamam and many more. Our students from class VIII, IX and X under the captaincy of Nikhil won cricket match and a cup from Delhi Public School and Geethanjali School. The students are Yash, Aryan, Anukul, Kushal, Rohan, Krishna, Pradhyun, Ram Krishna and Karthikeya, Nikhil and Saideep. 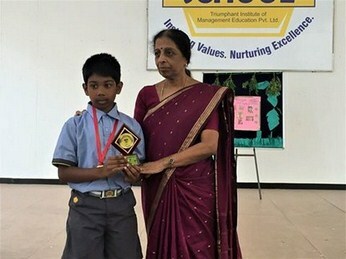 Pranav of Class – VII won a gold medal in skating. Vedanth, Lohith of class – VII participated in marathon organized by Timing Technologies and won silver medals. 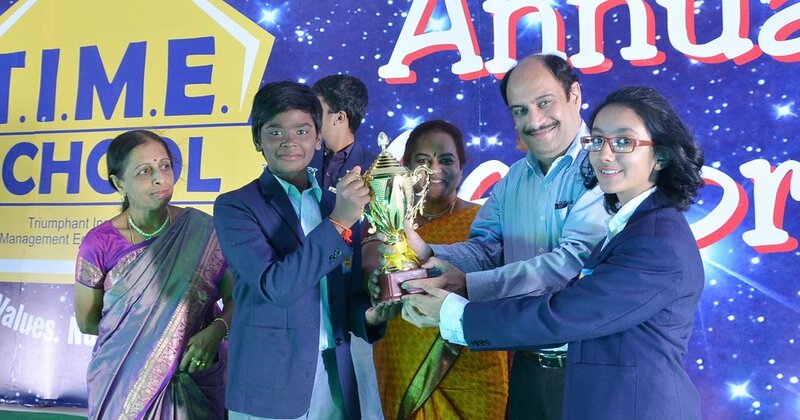 Our students participated in Sakshi spell Bee India and qualified for the 2nd level Nandana, Angeline, Ananya Haldar, Chavi, Karthikeya.B, Anish, Sri Sai Harsh and Nithya. Students have qualified for the second level of NSO are Ishanee Dutta, Nandana, C.V.Abhiram, Jeswin Raj, Piska Rohit. Our students qualified Nithish, Saideep, Pankaja, Sri Sai Harsha, Balakrishna Reddy and Nithya for Aqua Regia 2015. Shreyas from class V secured Gold Medal under Zonal for 9th SOF Intetnational. Panay from class V secured Gold Medal under Zonal for 9th SOF Intetnational.